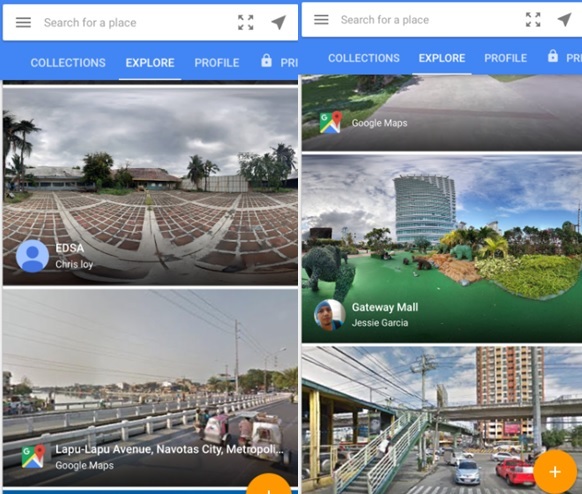 MANILA - Google Philippines has capped off its campaign called "Game 'Yan with Apps by Google," with a goal to enrich users' first mobile experience through a wide range of products and platforms like Search, Maps, Gmail, Android, Chrome and Youtube. In the culminating activity held at Nuvali in Santa Rosa, Laguna on Saturday, Google Philippines helped first-time smartphone users unlock the potential of the internet on their smartphone. Google Search does more than just fetch information online but can inform about things you care about. Just say "OK Google" and let Google set your reminders and flight schedules. Google Search is also helpful for real-time sports results, handy measurements, restaurant suggestions, timer and pub quizzes. Android users: tap the microphone symbol at the Google Search bar, or if you're running Android 4.1 (Jelly Bean) or higher, swipe up from the home button and say "Google." Note: You can also access Voice Search directly from the Chrome mobile browser. With Google Maps, you don't need to worry on visiting new place. 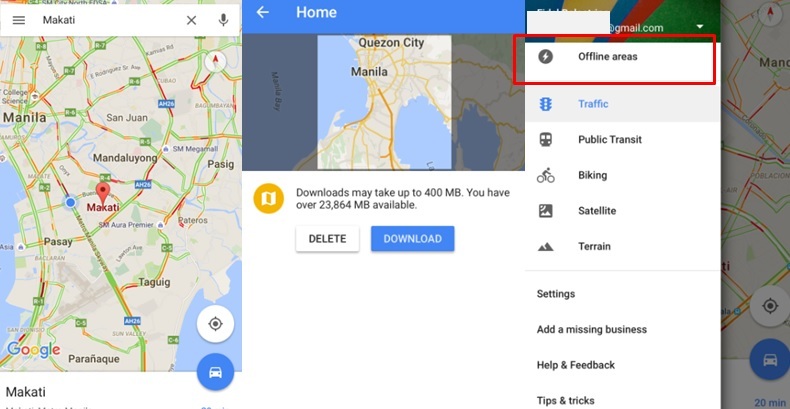 Even there's no internet connection, Maps Offline will let you navigate. Go to Goole Maps and make sure you're signed in with your Google account. Search for the city and tap the "Download" button. Find your saved places by tapping the Menu icon and selecting "offline areas." Explore famous museums, landmarks, arenas and restaurants as if you are really there with Google StreetView's 360 imagery. All you have to do is to drag the StreetView pegman with your finger to your desired location to get an immersive view. You can even zoom in on the details. Browse billion of Youtube content from the hottest music videos, tutorials, news and even the funniest parodies. 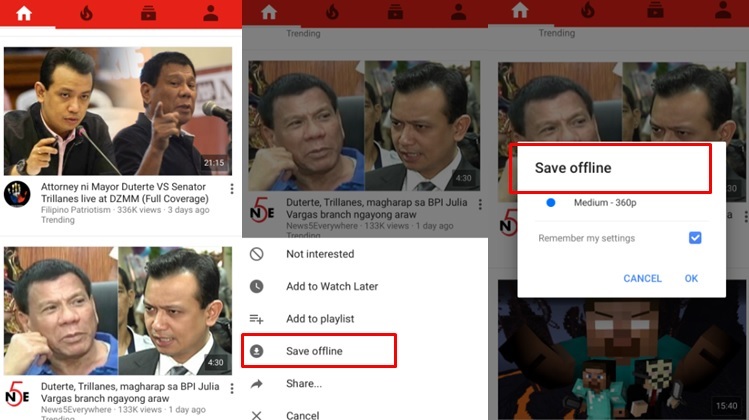 You can even watch Youtube offline in case of poor or no internet connection. To save videos while offline, just click the "offline" icon and choose the desired quality to save. Once offline, click "saved videos" and enjoy watching. 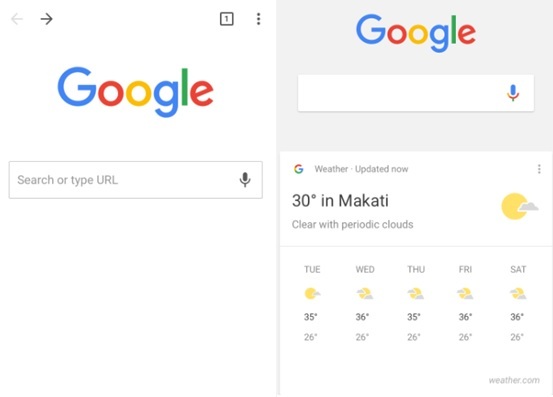 "Google continues to make users' mobile experience better and easier by introducing new apps and features that meet their everyday needs ---whether it'd be for discovering, browsing, traveling or viewing. We believe that everyone's first mobile experience should be fun, not hard, and memorable, not intimidating," said Ryan Morales, Google Philippines Country Marketing Manager said.